Patients with an abnormal heart rhythm that can leave them at a higher risk of suffering from stroke still need treatment even after their heart rhythm seems to have returned to normal, say researchers at the University of Birmingham. Atrial fibrillation is the most common heart rhythm disturbance, affecting around 1.6 million people in the UK. Those with atrial fibrillation may be aware of noticeable heart palpitations, where their heart feels like it's pounding, fluttering or beating irregularly. Sometimes atrial fibrillation does not cause any symptoms and a person who has it is completely unaware that their heart rate is irregular. People with atrial fibrillation are much more likely to develop blood clots and suffer from strokes. To avoid strokes it is important for them to take drugs to prevent blood clotting. Sometimes atrial fibrillation seems to go away and the heart goes back to its normal rhythm -the condition may then be deemed to have 'resolved'. Up until now it has been unclear as to whether the clot-prevention drugs can be safely stopped when the condition is 'resolved'. Now a study by researchers at the University of Birmingham, published today in The BMJ, has found that people whose heart rhythm returns to normal continue to be at high risk of stroke and should continue to be treated. Researchers looked at patient records from 640 general practices throughout the UK and compared the frequency of strokes in three groups of people: those with ongoing atrial fibrillation; those whose records said that atrial fibrillation had resolved; and those who never had atrial fibrillation. Dr Nicola Adderley, of the University of Birmingham's Institute of Applied Health Research, said: "What we found was that strokes were least common in people who never had atrial fibrillation, and much more common in people whose records said their atrial fibrillation had been resolved. "Significantly, in recent years we found that strokes were nearly as common in people whose atrial fibrillation had resolved as in those with ongoing atrial fibrillation. "Therefore, we can conclude that people with resolved atrial fibrillation continue to be at high risk of stroke." The researchers also looked at patient treatment. 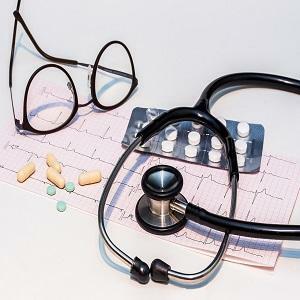 What they found was that, while most people deemed to have atrial fibrillation as an ongoing condition continue to get the clot-prevention drugs they need, the vast majority of those whose atrial fibrillation had 'resolved' do not. Dr Krish Nirantharakumar, of the University of Birmingham's Institute of Applied Health Research, added: "Our research demonstrates that although people with resolved atrial fibrillation continue to be at high risk of stroke, they are not getting their prevention drugs. "Worryingly, we found that the problem seems to be becoming more common, with our research showing an increasing number of people are recorded as having atrial fibrillation as resolved and are highly unlikely to be given medication to prevent stroke." The researchers said that in 2016 one in 10 people with atrial fibrillation – around 160,000 people in the UK – were classed to have had their condition resolved. Professor Tom Marshall, of the University of Birmingham's Institute of Applied Health Research, added: "One possibility as to why people whose atrial fibrillation has resolved continue to be at high risk of stroke is that it had not really resolved in the first instance. "Atrial fibrillation can be present one day and absent the next, so giving someone the all-clear may be a mistake. Another possibility is that it can come back. Many people don't know when they have this condition and it can come back without them or their doctor realising. "GPs keep a register of people with atrial fibrillation, this means they are reviewed regularly and are prescribed clot-preventing drugs. "But if the atrial fibrillation seems to have resolved they are taken off the register and rarely continue their treatment. It is as if they fall off the radar. "We have shown they are still at high risk of stroke and should still be treated. We cannot ever safely consider atrial fibrillation to have resolved." For more information please contact Emma McKinney, Communications Manager (Health Sciences), University of Birmingham, by emailing [email protected] or call +44 (0)121 414 6681. Alternatively, contact the Press Office out of hours on +44 (0)7789 921165.